At the BAC, everyone is busy -- with school, with work, with life -- yet there are some students who are challenging the boundaries of their education to produce radical work and ideas. Join us as students present work and ideas, sparking conversations between students, faculty, and guests -- pushing concepts to their limits and perhaps breaking through. 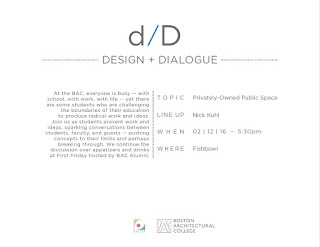 We meet in the Fishbowl at 5:30 on the first Friday of each month to talk about a new topic. We continue the discussion over appetizers and drinks at First Friday, the traditional socializer held by the BAC at a local restaurant each month. 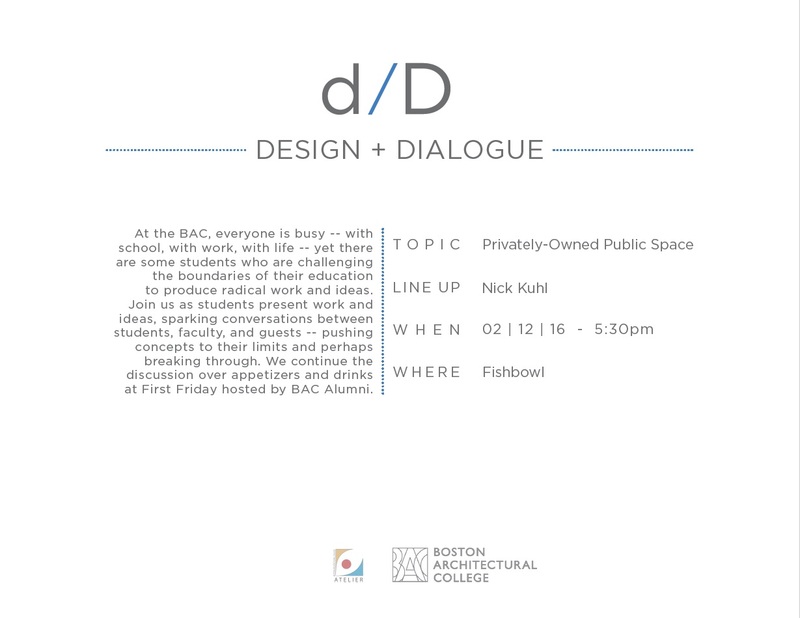 This month, Nick Kuhl uses his experience with Boehm Architects to lead a discussion on contemporary, sustainable affordable housing. Following the discussion, make your way over to the Pour House for the First Friday event, hosted by the Alumni Association and the Office of Student Life.